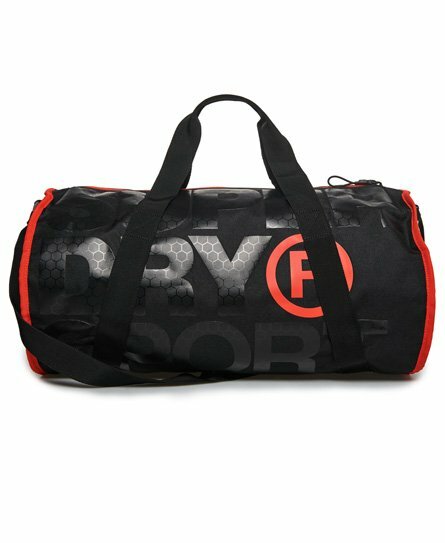 Superdry men’s XL Sports barrel bag. This barrel bag features large Superdry Sport logo graphics, a zip fastening and a mesh pocket on one end. With an internal zip pocket and adjustable shoulder strap, this bag is perfect for carrying your whole kit to and from the gym.